Golovkin's Coach: Charlo Has To Earn Shot, Not in Jacobs' Class! Abel Sanchez, head trainer for WBA, WBC, IBF, IBO middleweight champion Gennady Golovkin (37-0, 33 KOs), was impressed in the least by Jermall Charlo's recent stoppage win over Jorge Sebastian Heiland. The bout was the middleweight debut for Charlo (26-0, 20 KOs), who had vacated his IBF 154-pound title to move up. The World Boxing Council sanctioned the fight as a final world title eliminator. Golovkin will defend that title on September 16th, at the T-Mobile Arena in Las Vegas. The opponent is Mexican superstar Saul "Canelo" Alvarez. Of course Canelo has already rejected the idea of fighting for the WBC belt and wont pay a sanctioning fee. That means if Canelo wins the contest, then the WBC title will become vacant and the two highest ranked contenders will collide for the belt. 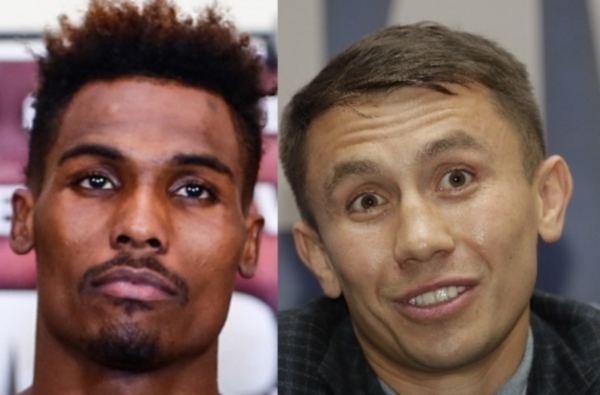 If Golovkin wins, Sanchez laughs at the idea that Charlo has earned a crack at GGG and the WBC title by beating Heiland. "[He earned the shot] by fighting who? What does that mean that he's a mandatory? That he deserves a shot? He's got to earn his shot. We sat for Felix Sturm for two years. We sat for Sergio Martinez for two years. These guys all of a sudden think that they deserve a shot at the winner of Golovkin and Canelo - they're crazy. They've got to earn it," Sanchez told BoxingScene.com. "[Charlo] needs to stay busy, stay fighting and stay relevant. Because when the time comes to fight the people have to know him." Former champion Daniel Jacobs gave Golovkin a lot of trouble back in March. It was the first bout where Golovkin was forced to go the twelve round distance. If Charlo defeated Jacobs, that would certainly earn him a shot at Golovkin - but Sanchez believes Jacobs is currently on another level. "I doubt it very much [that Charlo could beat Jacobs]. Charlo is not even in his league. Daniel Jacobs is the second best middleweight in the world and right now nobody else other than Golovkin beats him," Sanchez said. Come on Abel, Charlo just beat some injured no legged Argentinian burgerflipper, he has done enough lol. Ducking..................................... Using the GGG 2012 fanatics logic.